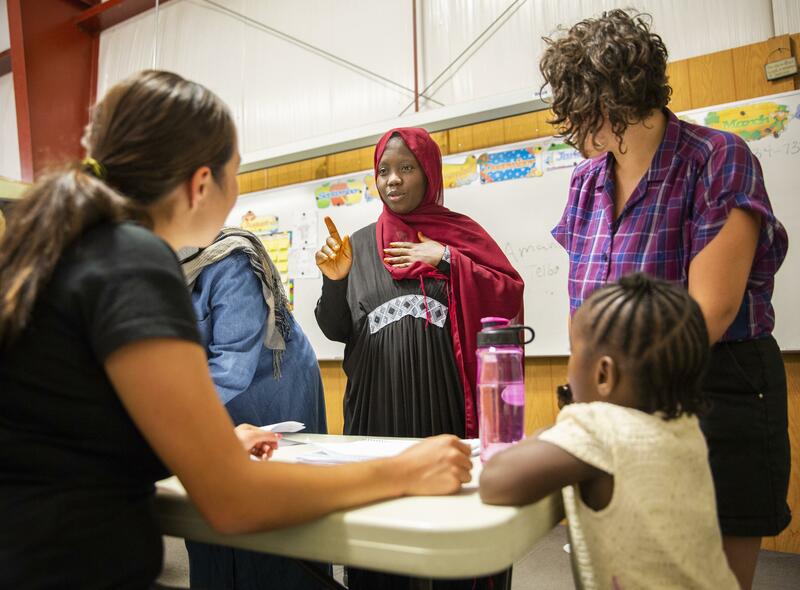 Fri., Aug. 31, 2018, 4:33 p.m.
TWIN FALLS, Idaho – Idaho has welcomed far fewer refugees this year, which means resettlement agencies have more time to work with families, but local businesses are scrambling to find workers. The College of Southern Idaho’s Refugee Center is on track to resettle 71 people this year, a fraction of the 300 people it typically serves each fiscal year. It’s received 64 refugees so far this year, with another family of seven expected next month. The fiscal year ends at the end of September. The decline in refugee arrivals, which is the result of federal refugee policies and changes in the security vetting process, is not limited to Idaho: President Donald Trump capped the number of refugees who may resettle in the U.S. at 45,000 this year, the lowest of any administration since 1980. In practice, however, that number is likely to be much lower. At current rates, the country is on track to accept roughly 22,000 refugees this year. In Twin Falls, the unemployment rate has dropped to 2.9 percent, said Jan Roeser, a regional economist with the state’s Department of Labor. The unemployment rate in Boise, the other hub for refugee resettlement in the state was 2.6 percent as of March. The Refugee Center at CSI did not receive any people in August, according to director Zeze Rwasama. The center still offers the same range and level of services to new arrivals as in previous years, Rwasama said. But the lower caseload has allowed the center to put a greater focus on assisting refugees who have been in the country for longer than a year. “Now we are reaching out to those refugees in the community, providing services to them,” Rwasama said. Those offerings include case management, assistance with employment, medical services, and a career pathway program that matches experienced workers with local employers. Wolfson said she expects that the low resettlement rate will continue into next year. But Rwasama is hopeful that federal policies and practices “could change at any time.” He said these days he less frequently hears certain anti-refugee sentiments that he used to hear often, such as concerns about safety or complaints about refugees “taking jobs” from other workers. Published: Aug. 31, 2018, 4:33 p.m.